ASOS to the rescue once again when it comes to fulfilling our trend needs. Espadrilles continue to heat up summer ensembles and we've been seeing designers offer some funky options with some not so fun prices. 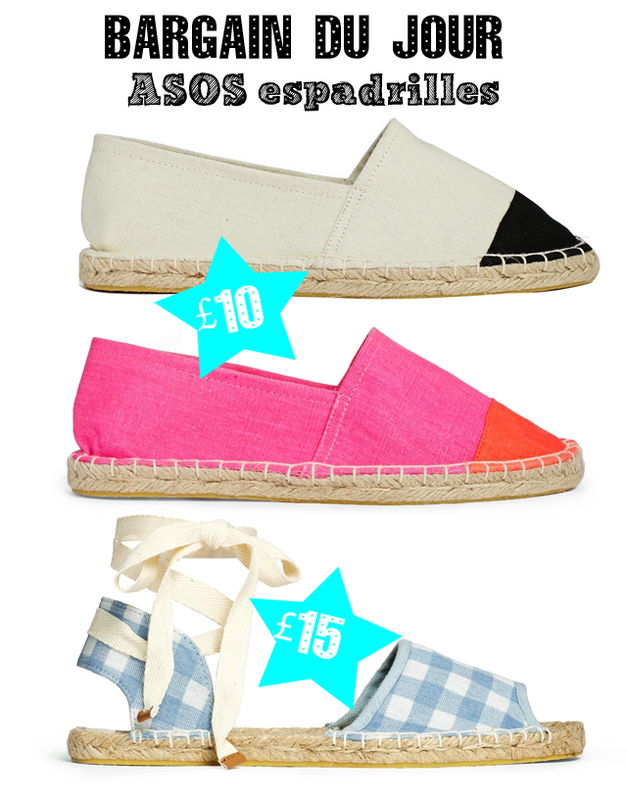 Leave it to ASOS to give us three pairs, all £15 and under, that will satisfy every stylish bone in your body. We'll just go ahead and say that the black and white Jazzman Espadrille is a dead ringer for the sold out Chanel 'drille. Then there's the gingham Jamaica Espadrille. Well, there's isn't much more to say other than if Dorothy could trade in her ruby red slippers, we have a feeling she'd trade them in for these. Love.